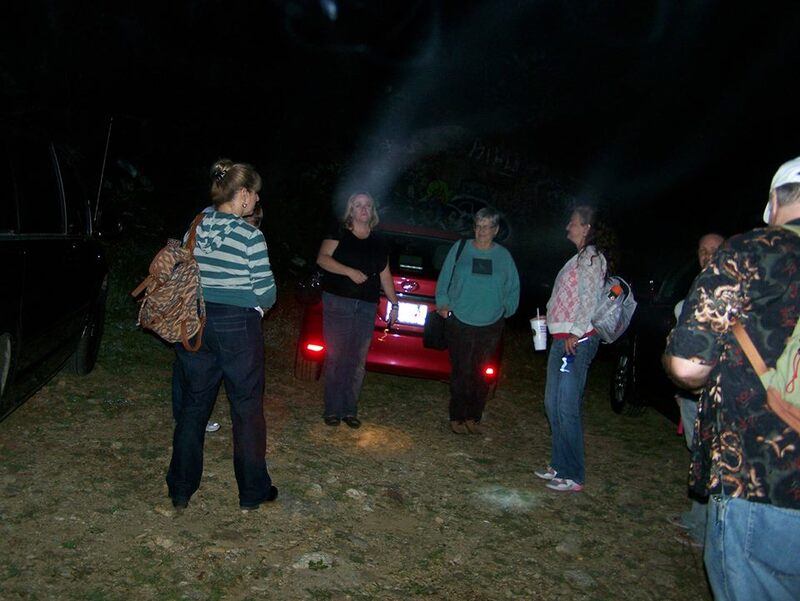 When I first started doing paranormal investigation, I stuck with the current trend of conducting a “scientific investigation.” My friends and I spent tremendous amounts of money on paranormal equipment and used them for every investigation. We set up cameras in all the known hot-spots and used meters and devices to measure and record the energy in the room in the hopes of capturing evidence of paranormal activity. As I became more experienced, the traditional investigations began to bore me. I was so tired of the concept, of asking all the same old questions and then listening to hours of recorded audio in my hopes of capturing a ghostly voice. I was also worried. While we were capturing evidence, we weren’t doing anything to solve the issue. This especially bothered me with private investigations. When a homeowner asked us to come in because they were experiencing something they couldn’t explain, they were often frightened by the activity. When footsteps are heard in the middle of the night or voices drifted through the house when no one was home, they often thought the worst. And who can blame them? Most people’s perception of ghosts is based on what they see in the media. Nice ghosts exist, but they don’t sell out movie theaters. Instead, Hollywood invests in the darker side of the paranormal world, largely excluding the majority of the paranormal arena. I have probably contributed to this personification as well by writing about my horrific experiences in dealing with darker entities. The fact is: the paranormal world is far more complicated. There are a mixture of good and bad ghosts, along with entities that were never human. In some cases, they already have a system set up, one that doesn’t require human involvement to keep it continuing. 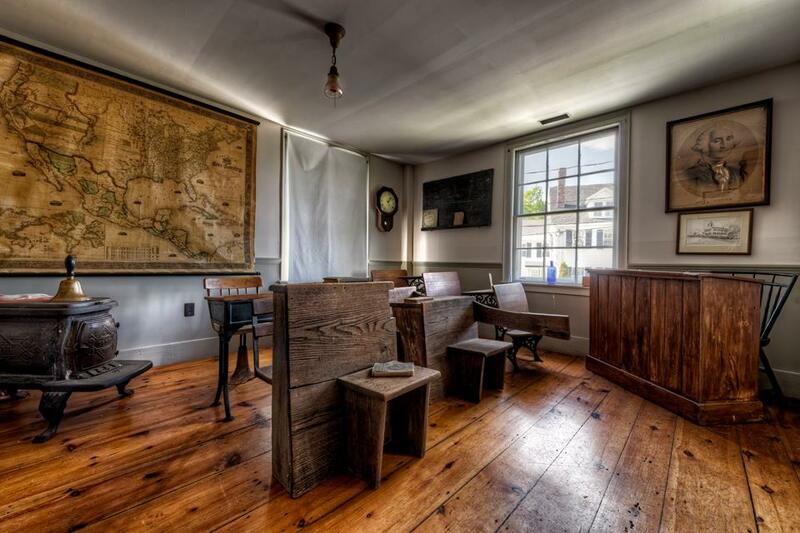 It’s the humans who need to be schooled, not the ghosts. 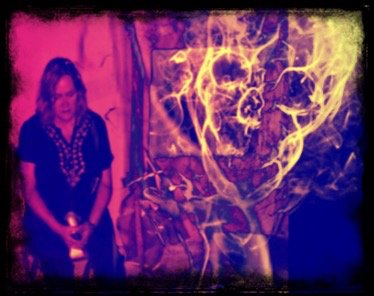 As my abilities as an intuitive medium expanded, I found that I was able to connect directly with the ghosts in residence. I no longer needed a digital recorder to hear their voices. I could now go directly to the source. This changed everything for me. Now, when I go on a private investigation, I don’t bother with most of my equipment.I bring a high quality electromagnetic frequency (EMF) meter that I use to rule out high levels of energy that might be impacting the living. Sometimes, a malfunctioning electrical device can emit high levels of EMF, which can cause people to react in the same way they might if a ghost were present. To explain this further, high EMF often makes people feel as though they are being watched. An example would be a house we investigated where the owners felt as though they were being watched while they sat in their living room. A quick sweep with the EMF meter revealed two air purifiers that were situated at opposite ends of the room. They were both old and outdated and were pouring high levels of EMF into the room. Once they were removed, the feelings of being watched disappeared altogether. To read more about the effects of high EMF, click HERE to read a previous blog post. When I investigate private homes now, my most valuable tools are my friends and teammates. I bring like-minded people with mediumistic abilities. Together we’re able to identify what is causing (or not causing in some cases) the haunting and put together a plan to resolve the issues. 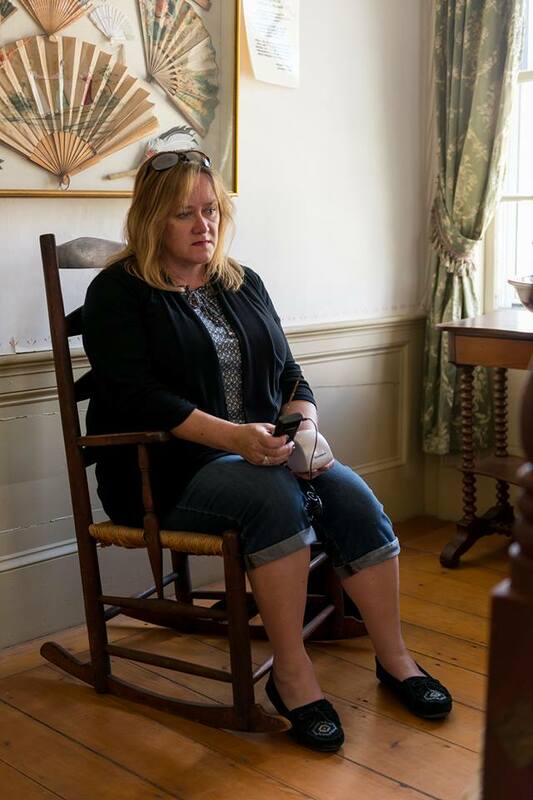 During a recent investigation, I was invited to the home of a friend who had just purchased a house. He hadn’t necessarily experienced any activity that would put him on Paranormal Witness, but he was uncomfortable in his home all the same. It had a bad vibe. It didn’t feel right. It was as though he wasn’t welcomed there. I stopped him before he could go into more details that might impact our walk-through of the property. I brought two people along with me who I knew could help me get to the bottom of the haunting: Ken Murray and Barbara Niles. Sandy MacLeod often joins us, but was unable to attend this time. Ken Murray is a talented psychic medium who has blown me away with his abilities and Barbara Niles is far more talented than she gives herself credit for. I met both of them through the Paranormal 101 classes I used to teach in the town of Gardner, Massachusetts. Sandy’s abilities are similar to mine. We are somewhere between Ken and Barbara. We both get distinct impressions when a ghost is nearby. As we came into the house, I warned the homeowner to stay silent about the activity he had been experiencing. We wanted to go in completely cold, not knowing anything about the haunting or the history of the house that might taint our impressions. As a medium, this is very important. We are filtering any messages we might receive through our human bodies. If our brains are already thinking about the dark shadow he often sees at the end of the bed, we’ll be looking for dark energy. It might even lead us to mix our own impressions with the information we’ve been told, changing it completely. We started on the third floor in an area that we later learned had once been servant’s quarters in the massive Craftman-styled house. Armed with notepads and writing utensils, we split up into separate rooms and allowed the energy to speak to us. Being clairaudient, I alway hear tones that are similar to ear ringing. Once I tune into the sound, I am able to connect with the soul attached to it. In the first room, I picked up a tone that I identified as a young female. As I allowed the connection to grow, I saw her in my mind’s eye and began to hear her words. The first thing I saw was long light-brown hair that trailed down her back. As she turned, I saw a bit of her face. She was young, probably in her late teens or early twenties, and she was sad. As I studied her, I learned that she was an Irish immigrant, brought to this country to work for an American family, possibly as a nanny or housekeeper. “I just want to go home,” she told me. Knowing we still had a lot of house to cover, I moved into another room on the third floor. I then connected in similar fashion with a heavy-set older woman with dark hair that was pulled into a knot on the back of her head. She struck me as motherly and matronly. She felt like a housekeeper to me, someone who took care of the family, as well as the rest of the staff. I saw her folding laundry, humming while she worked. I moved onto a third room as Ken and Barbara switched rooms too. During this time, we didn’t say any more to one another than deciding on what to call the rooms so we could discuss them later. We decided on Room 1, Room 2, Room 3 and Room 4. Room 1 was where I felt the girl. Room 3 was where I felt the older woman. In Room 4 I got an impression of children and saw a child’s sailboat. I didn’t connect with any energy, except for the younger woman who was following me. I quickly moved onto Room 2 and discovered the reason for the haunting. I didn’t need to listen for the tone. The impression came to me immediately. I saw a tall man with ramrod straight posture and dark hair. He had an air about him of importance, but the word that rose in my mind was “butler.” He felt he was better than everybody else. We were all beneath him. I saw him actively trying to disturb the living, making them as uncomfortable as possible. Once everyone was finished, we moved through the rest of the house, feeling the energy and quietly writing down our impressions. By the time we made our way to the basement, I had also connected with a woman from the 1920’s. I saw her as tall and fashionably thin, wearing a pale beige silk dress with fringe along the hem. She was worried about something, but I couldn’t pick up on the source of her discontent until we got to the basement. Basements are often my favorite places in haunted location. Not because they are creepy and dark, but because they seem to be the place where ghosts go to hide when the living impede upon their space. This basement was different though. It was brightly lit and freshly painted. If you saw a photo of it, you wouldn’t immediately think it was creepy, but the energy said otherwise. 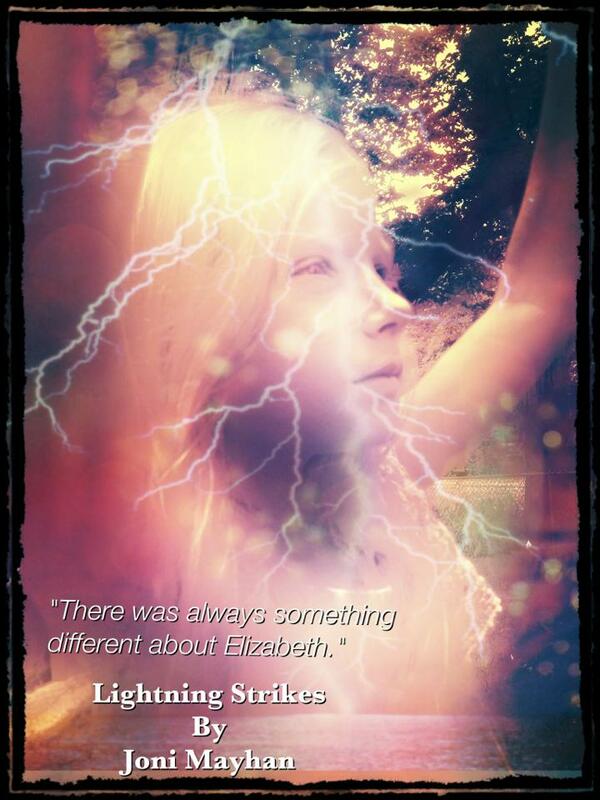 It felt as though the air itself was sizzling with electricity. It was hard to breath, feeling like the air was thick and heavy. I did a quick sweep with the EMF detector, not finding anything amiss. Soon, an image rose in my mind of wooden cases filled with glass bottles. I felt myself being drawn to a far corner of the room that had been sectioned off in a closet to house the well pump. “This is where they hid it,” a voice said in my mind. I identified the source of the voice as coming from the fashionable 1920’s woman and realized that this was the reason behind her anxiety. “Flowers cover up the scent,” she told me. Scent? I looked around, trying to make sense of what I was being told and then it dawned on me. Alcohol. Instinctively, I knew that the house was used during the prohibition days to hide alcohol. While she was worried about it, her husband was almost glib. “Don’t worry about it. We won’t get caught,” he told her. Once Ken and Barbara were finished writing down their own impressions, we reconvened outside on the porch steps to discuss our findings. This is always a worrisome moment for me. I often doubt the impressions that I feel, wondering if my highly active imagination was simply manufacturing all the information. It made sense that I would identify the third floor as servant’s quarters. Most old houses were set up in that fashion and the staff I saw were traditional roles that were often employed in wealthy households. The 1920’s woman fit the time period that I had established in my mind, which also fit the style of the house. Was this nothing more than a nice story? “Ken, why don’t you start,” I suggested, waiting with baited breath to hear what he was going to say. Ken has impressed me over the past year with his findings. He’s almost alway dead-on in his impressions, helping us solve many cases. “I felt an older woman on the third floor, who I feel was a maid or a nanny,” he said and went onto describe her exactly as I saw her myself. Being a far better medium than I’ll ever be, he also added details, such as the color of her dress and the jewelry she was wearing. He also picked up on the younger woman and the butler, adding in more layers. He thought the young woman’s name was Anna and saw her with her hair pulled up in a bun. Barbara’s notes revealed similar impressions.Because she is still in the beginning stages of her spiritual advancements, her encounters were less detailed. She identified the older woman, the younger woman and the man. Neither of them picked up on the 1920’s woman, but they both felt children present, which went along with my feelings about the bedroom with the sailboat. Our only disagreement came in the basement. Ken saw a fight between two men that led to one of the men being stabbed. He also felt that the younger woman was having an affair with the former male owner of the house, something that might have contributed to the fight. He didn’t get any impressions about alcohol, but thought it made sense as he listened to me talk. Barbara also felt alcohol was involved, but felt like it was stolen. All three of us agreed that the source of the haunting was the male butler. Ken felt as though he probably stood at the end of the homeowner’s bed and presented himself in shadows.He also thought the homeowner might feel as though someone was watching him while he was in the shower and that the bathroom door might occasionally pop open on it’s own. We also all agreed that while the butler was an angry soul, he wasn’t powerful enough to do anything more than rattle doorknobs and create shadows. The older maid kept him in check, preventing him from attempting anything truly frightening or dangerous. Ken also felt that she liked the current homeowner and would work to keep him protected. 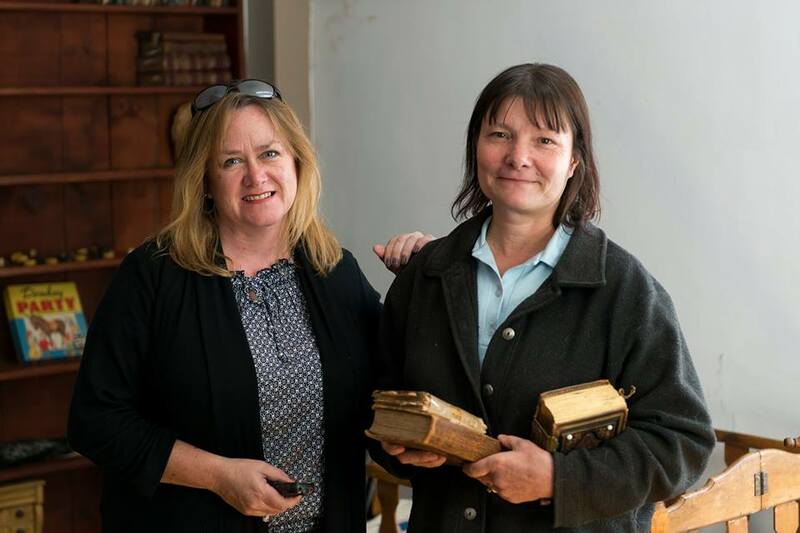 At that point, we took our findings to the homeowner and learned more history of the house. As it turns out, the house across the street had a hidden tunnel that led from the basement to the garage, something that the current owners suspected was created during the prohibition days. Was this connected? As we thought about it, it began to make sense. Even though we were all different in our findings, they fit an overall story. If the people across the street had an illegal still or were bringing in alcohol for the sake of reselling it, it would make sense that the man in the house we investigated might have been a part of it, perhaps even breaking into his house to steal it and then hide it in his basement. If he were caught by his neighbor, a fight could have broken out. Even though we were forcing the pieces together, they fit. In the end, we decided not to do anything about the haunting. Sometimes this is the best method. The dead have worked out a system of checks and balances. Often, we join hands and create a sacred circle where we envision a white light above our heads. We then encourage any lost souls to go through it, bringing them to a place most people call Heaven. While this is usually successful for us, it wasn’t the right thing to do in this case. If we attempted to cross over one or more of them, we might end up doing more harm than good. The heavy-set maid might have crossed over, leaving the angry butler there alone without anyone to prevent him from going after the living. It wasn’t worth taking the chance. It was better to leave it as we found it. The only one I felt bad about was the younger Irish immigrant woman. She had been following me all night and was nearby as we spoke to the homeowner. 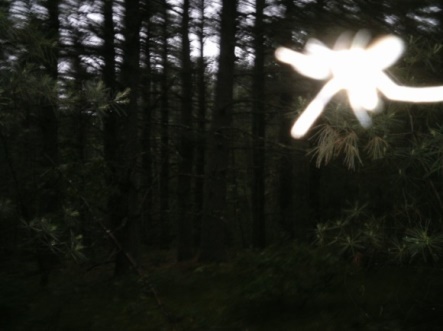 Mentally, I connected with her and told her about the white light, showing her an image of her floating towards it and finding her way to Heaven, where her family was waiting for her. I felt her acknowledgement and knew that she would go when she was ready. Once we explained our findings to the homeowner, he felt better about the situation. 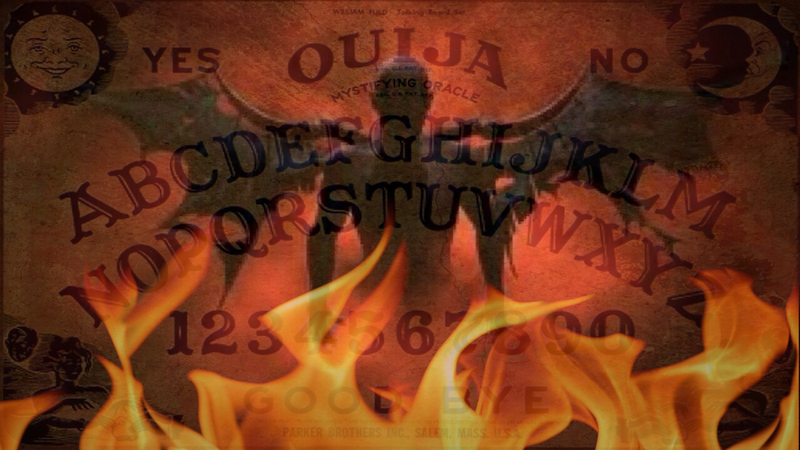 Being a person who is involved in paranormal events, he was well-versed in the ways that ghosts often function. The reason why his house didn’t feel warm and welcoming was because the butler was impacting his emotions. “Ask the maid to help you. Ask her if she will keep him away from you,” I suggested. “You might also make an offering to the male butler, to appease him in a sense,” Ken said. “I see a decanter of liquor, possibly bourbon. Put it on a shelf in the dining room and tell him that it’s for him,” he said. “And flowers for the maid,” I added, somehow knowing that she’d enjoy them. After we said our goodbyes to the homeowner, we gathered by our cars and chatted about the evening. All in all, we felt good about what we did. We didn’t remove any energy or cross over any weary souls, but sometimes that’s the best thing to do. We simply went in, evaluated the situation and made a decision. I know that some mediums will disagree with what we did, but that’s to be expected. Everyone has differing opinions and we did what we felt was best for this case. If the activity picks up or becomes threatening in any way, we can always go back and do something different. Sometimes it’s better to just leave things as you found them. 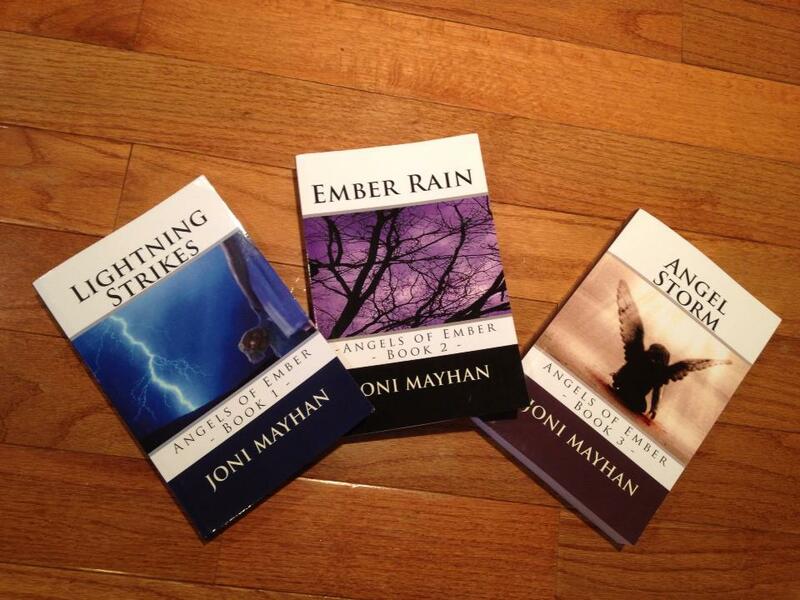 Joni Mayhan is a paranormal investigation and the author of 15 paranormal books. She also teaches a popular online Paranormal 101 class. For more information about Joni or her books or classes, click HERE . It looks like fun, something entertaining to do on a boring Saturday night. You imagine calling a few friends and heading out to the closest graveyard to see what it’s all about. The truth is: paranormal investigating can be dangerous. I know this firsthand. After making several beginner’s mistakes, I encountered several low vibrational entities that followed me home and made my life a living hell for months on end. Had I known what I know now, I would have done things much differently. A paranormal investigation shouldn’t be treated like a fun night out. It should be planned with the same care and respect that you’d use if you decided to start cave diving. You certainly wouldn’t just go out and purchase scuba equipment and head to your nearest cave. You’d spend months, if not years, learning how to dive first to prevent yourself from getting lost and drowning inside a cave. You’d then research and train with someone who knew how to cave dive. You would also bring a map, as well as a companion who knew the cave well. 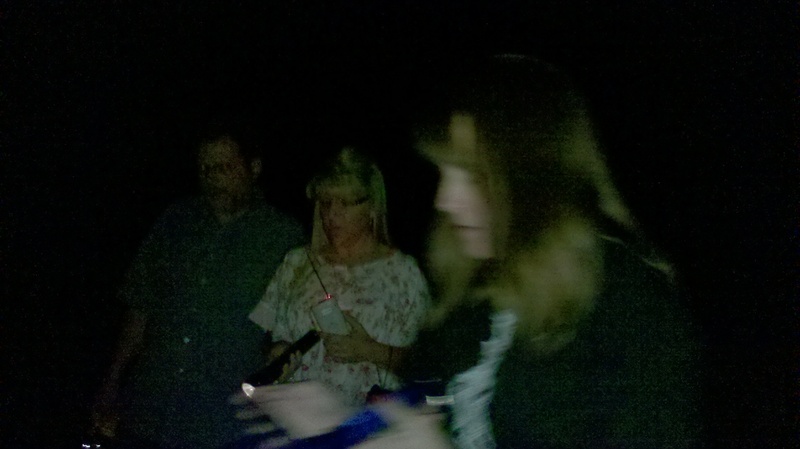 The biggest danger with paranormal investigating is the unknown factor. Ghosts come in many varieties. Like people, there are harmless ones and there are dangerous ones. Unlike people, ghosts are invisible and you might not be able to tell the difference until it’s too late. People who are sensitive to spiritual energy have far more to worry about than non-sensitives. Not only do ghosts see us and recognize the fact that we can also detect them, they might grow curious enough to follow you home. Once they’ve attached to you, they will attempt to get your attention. This could include moving items around your house or making sounds that you can detect. If the entity is negative in nature, they will probably attempt to pull your energy, something they will use to grow stronger. The footsteps and misplaced items will quickly escalate to more serious dangers. They might turn on burners on your gas stove, something I’ve had happen before, or they might push you when you walk down a steep flight of stairs. If they think they can get away with it, they might even attempt to take you over. We often think demonic entities are the only entities that can possess a person, but this isn’t necessarily true. There are some very high-powered human ghosts who have the same capabilities. Beyond even demonic or earth-bound ghosts is the possibility of entities from other dimensions. The problem is, when they cause your EMF meter to spike at an investigation, they all look the same. Learn how to ground and shield yourself. Grounding is the process of removing all negative energy from your body. My favorite technique for this is to imagine a ball of pure white light above my head. As I inhale, I visualize this white light filling my body, while simultaneously pushing the negative energy down through me, where it can sink deeply into the ground. Some people visualize themselves as trees with deep roots as they do this. To shield, you build a bubble of white light around you, and then set a time limit on it. I usually set my shield daily, infusing it with the intent that it will keep me safe from any energies that aren’t mine for 24 hours, the maximum time amount. If you don’t set a time, your shield will only last for several hours. Many people carry gemstones in their pocket, such as black tourmaline or tiger’s eye, which have protective properties. Other people wear crucifixes or religious medallions. While these items will help you stay protected, they also serve as a reminder. Many people believe that you already have everything you need to keep yourself protected inside you. By touching the stone or wearing the cross, you reinforce your internal belief that you are protected. Whether you are praying to a higher power or calling in your Spirit Guides, you should always utilize this extra assistance. It’s like having a posse of warriors who will run defense for you. Without them, you are vulnerable to attack. Everyone and everything vibrates with frequency. When people are feeling good and everything in their lives are running smoothly, they vibrate at a high rate. When they are feeling depressed or are physically ill, they’re vibration decreases. Ghosts vibrate at different rates too. A positive entity will vibrate at a much higher rate than a negative one. They can only attach to you if your frequencies are similar. If you don’t feel well or have had a horrible fight with a friend, don’t go on the investigation, especially if you are a sensitive. You will be much more vulnerable to picking up an attachment. Never antagonize the dead. Provoking comes with a heavy price considering you don’t know what you’re truly dealing with. You could be screaming at a lost child who has been trapped in our world for centuries or you could be taunting something inhuman, who considers your insults an invitation. Tread lightly and be polite. Unless you have several years in the field, always investigate with a mentor, someone who can help keep you protected. If you are a sensitive, find an experienced medium who is willing to take you under his or her wing. They can not only alert you to possible dangers, but they can help you advance your own abilities. Stay away from unknown factors. This includes cemeteries, old prisons, old hospitals and location where humans have suffered. Start out with public events at locations that have been fully investigated before. It might initially seem like driving with training wheels, but you should always learn in a somewhat safe environment. With that said, still employ caution. 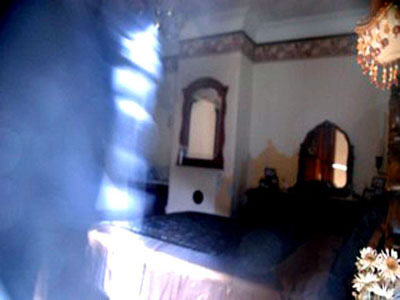 Ghosts often come in with other investigators and decide to camp out at new locations. Don’t attempt private investigations at people’s homes until you have several years of experience under your belt. Yes, you do need to learn the craft of investigating sometime, but don’t learn at the expense of a homeowner. Any mistakes you make will be left for someone else to deal with. Private events are also risky because you don’t know what you’re dealing with until you investigate the location, which puts you at risk, as well. NEVER investigate your own home. If you have a ghost in residence, call in someone else to help, preferably a medium who can communicate directly with the entity. If you do EVP sessions and frequently try to capture the ghost on a camera, you are giving it more fuel to stay. The attention you provide it with acts as an invitation, which will make it much harder to remove later. Do not give ghosts permission to touch you or use your energy. Essentially, what you’re doing is inviting them inside the shield you’ve carefully constructed, giving them an opportunity to connect to you. If they use your energy, you will probably find yourself on the brink of exhaustion the next morning, making you more prone to illness. When you leave the location, I recommend doing a closing ceremony. Basically, this entails telling the ghosts that they must remain at the location and cannot follow you home. We will often burn sage and do a smudging of each participant before they leave, as an extra measure. You should also cut your cords. 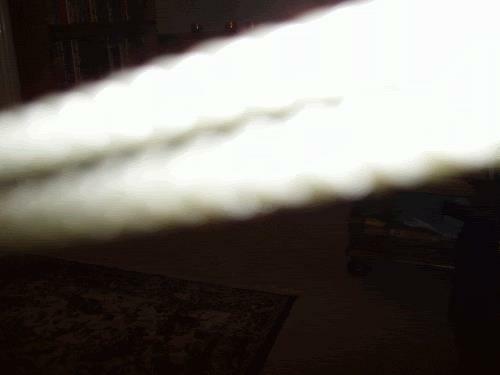 Entities, and even people, connect to one another with invisible energy cords. Cut these with your non-dominant hand, envisioning the ethereal cords breaking in half. Then imagine white light filling all the holes where the cords were once located. Once you’ve done this, leave. Don’t stand by your car and talk. This gives the dead more opportunities to attach to you. Cleanse yourself when you get home. I recommend taking a bath infused with sea salt and lavender. This cleanses the spiritual energy off you and also serves to relax you after an eventful investigation. Eat something healthy, as well. It’s recommended to eat foods that will help you ground. Nourishment that comes from the earth is usually the best. Nuts, grains, root vegetables and even chocolate are good for grounding. Ground and shield yourself before you begin reviewing your evidence the next day. If you didn’t fully cut your cords to the entities at the investigation, you will re-attach yourself to them when you begin listening to your audio recordings or combing through your photos or video captures. Never cut corners. Even if you are in a rush, always take the time to protect yourself before, during and after an investigation. The investment could end up saving you a lot of pain and suffering after the fact. As an author and investigator, I’ve encountered dozens of scenarios that you will not want to experience. 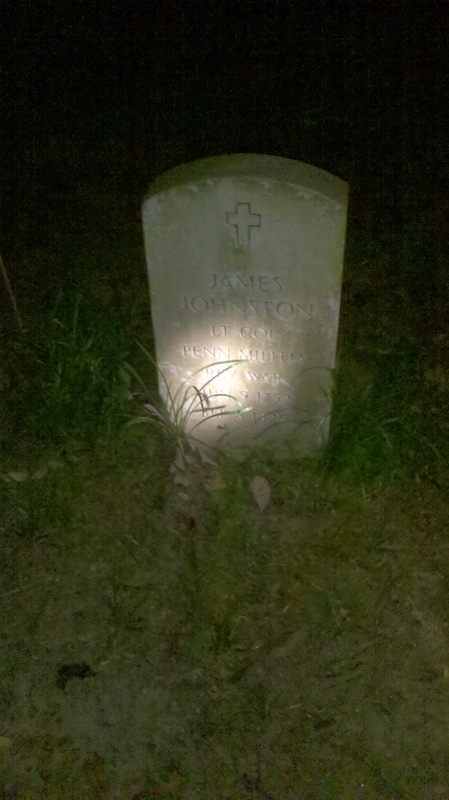 Ghost hunting is not fun and games. Sometimes it can be deadly. If you would like to learn more about the ins and outs of being a sensitive or would like to explore other avenues for paranormal protection, please check out my book Dark and Scary Things – A Sensitive’s Guide to the Paranormal World. 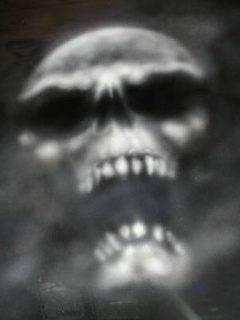 Joni Mayhan is a paranormal investigator and the author of 13 books, including Dark and Scary Things – A Sensitive’s Guide to the Paranormal World, Devil’s Toy Box, The Soul Collector and Bones in the Basement, all available on Amazon.com, as well as Barnesandnoble.com and Smashwords. Click on any of the covers below to learn more about the book. The ghost hovered in the corner of my room, ever vigilant. I could feel him standing there watching me. His anger was powerful, radiating from his center like a smoky black aura, filling the room with hostility and rage. If there was ever a time in his life when he was a good man, I couldn’t feel it. All I could detect was the darkness that had leached into his soul like a parasite, turning him into an ever-hating entity. He didn’t hate me for any particular reason. He hated everyone. He despised the life he’d once lived, and brought his hatred into the afterlife with him, allowing it to consume him whole. And there he was, hovering in my bedroom corner, watching me with narrowed eyes. I first became aware of him after dining at my favorite restaurant. I don’t know how he came to be there. I don’t think he even knew. He just followed the trail of energy to a place where he could find nourishment before he finally latched onto me. Being a ghost takes a great deal of energy. Despite popular belief, many people feel that ghosts can’t pull energy from the electricity or batteries we use to power our electronics and machines. They need the kind of energy that only a living being can provide. It’s one of the reasons why you seldom find ghosts at cemeteries. They might stop by to visit their grave and make sure it’s being kept up, but they won’t hang out there for long because it isn’t a good feeding ground. There aren’t enough people around. Investigators often flock to haunted venues, needlessly paying tremendous amounts of money to hunt for a ghost, while passing several dozen ghosts on their way to the door. Ghosts are everywhere. You’ll find them lurking in places where you find groups of people. Shopping malls and movie theaters are prime locations, as are restaurants, hospitals, and churches. Most of the time the ghosts are happy to remain there, but every occasionally they find one human they feel is worth following. For reasons that escape me, I am very desirable in the spirit realm. I can’t go anywhere without picking one up. They must see me and consider me as someone who can provide them with constant nourishment. More than likely they recognize me as a sensitive, someone who might provide them with the added bonus of communication, something many of them long for in the spirit realm. The guy in my corner wasn’t exactly a chatty one, though. He didn’t want to talk to me. He just wanted to use me for as long as he could. Since I had no real means of driving him away, he probably would have stayed for an extended vacation, growing fat and happy off the energy he pulled from me. Strange things began happening to me during this time. At first, I just thought I was having a spell of horrible luck, but as it went on, I grew suspicious. My son’s truck broke, putting us down a vehicle, something that caused us both undue stress as he worried over fixing it. Then, my car registration was suddenly revoked, due to the insurance bills that somehow never made it to my mailbox. Household appliances stopped working without explanation. I became clumsy, stubbing my toes into every corner, banging my elbow against my desk as I rose, bruising myself on the corner of a table so frequently it became painful. Then the worst possible thing happened. My elderly cat went into seizures and had to be euthanized. My friend Sandy, who is also a sensitive, came to pick me up for a movie several days later. Just before we left, I asked her to go upstairs and see if she felt anything. I didn’t tell her anything about the haunting, but from prior experience being my friend, she knew what she was looking for. She came down a few minutes later, pale and drawn. “You have a really bad one up there. He’s really strong,” she told me. It confirmed what I already suspected. Over the course of the week, I worked with my mentor, trying everything she suggested. I burned sage and used salt around the doorways and windows. I took a cleansing salt bath every night. I worked on building a strong shield around myself, but nothing seemed to work. As soon as I drifted off to sleep, I felt him move towards me, blanketing me with his energy. I would then feel a palpitation, almost as if my bed was vibrating beneath me. I came to realize that this sensation was probably him pulling energy from me. After Sandy’s visit, something strange happened. He began bouncing back and forth between the two of us. While we found it to be anything but amusing, we began documenting the bounces. As soon as I felt him come back, I marked the time and did the same thing when I felt him leave. Sandy did the same thing. When we compared notes after a few days, the times matched up perfectly. I needed to get rid of him. I was getting only a few hours of sleep each night. Every time I started to drift asleep, he’d jump on me, waking me up. I contacted my mentor, begging for help, and she agreed to see us. We got in my car and made the three hour drive to Maine to see her. During the drive, Sandy told me a little about our ghost. She saw him as 50’s era. He was a tough guy, kind of like James Dean with a bad attitude. When we got to Maine our mentor, confirmed this. “1953 is the year I’m getting,” Barbara told us. She also saw him as a person who wasn’t very nice in life. “Okay, let’s cross him over,” she suggested. We stood in a circle, like we always do. Barbara opened up a white light, where he could safely pass through to the other side of the veil. While I’ve experienced this many times, it still takes my breath away. It’s a powerful moment, filled with velocity and emotion. In some ways, it’s almost like giving birth, except it feels more like freedom and release. I felt him slip up and through it the second the white light was opened. A cold chill started at my ankles and worked its way up my body and through the top of my head, signalling his release. And then it was all over, leaving me breathless in the wake. “That was fast,” I remarked. “Yes. He was ready to go,” Barbara confirmed. We held the circle for another minute and to our surprise, another soul crossed through. I had no idea where this one came from, but I was happy to comply. Every soul deserves the right to cross over to the next realm. My house grew quiet again for several days until the next one came along. This one is a female. She wants help, but won’t cross over. Something holds her back. Like the male, she waits until I am nearly asleep before she pounces on me. I’m not ready to make another trip to Maine, but am working on keeping her at bay. Even though these earth-bound souls are draining, I always learn something in the process. With her, I’ve learned to push energy in her direction. It’s not an easy thing to maneuver, considering it’s an invisible and not always reliable solution, but it seems to be working. If nothing else, perhaps she’ll eventually tire of the battle and move onto greener pastures. Insomnia has become a way of life for me, but I’m still thankful. There might be a ghost in my corner, but at least it’s not the same hateful entity who had once been there. This one just wants help. I just need to learn how to give it to her without losing a piece of my own soul in the process.